We need a better system in place to ensure seniors are protected from all types of maltreatment! Demand stricter regulations from the U.S. Department of Health and Human Services to keep seniors safe from abuse! Elder abuse comes in many forms. It can be defined as an intentional act by a caregiver that causes harm — or the risk of harm — to an elderly person who depends on a caretaker . This abuse often comes in the form of under- or overmedication, failure to provide for the person's basic hygienic or nutritional needs, or a lack of proper safety precautions to protect them from falls and other dangers. In severe cases, it may involve physical harm, financial exploitation, or involving them in sexual acts. According to the National Center on Elder Abuse, a study of 2,000 nursing home residents found that 44% of elderly people reported having been abused, while 95% reported either being neglected or witnessing the neglect of another resident . Adults with disabilities and dementia are even more likely to be abused. Another study found that roughly 47% of adults with Alzheimer's or another form of dementia had suffered from abuse. Sadly, those who are abused face a whopping 300% higher risk of death than those who receive proper care . 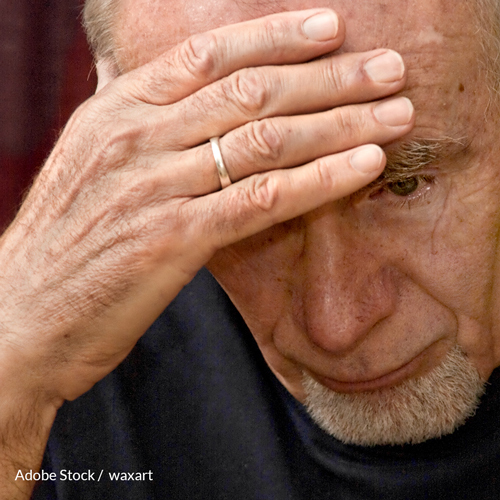 Making matters worse, many seniors who suffer from elder abuse never report it. This may be because they're confused or unaware of the abuse. They may have no way of alerting anyone to it, either because they're isolated from the rest of the world, or they're unable to speak, or they're unwilling to report a family member or friend. Roughly one in 10 seniors experiences some type of elder abuse, but only about 20 percent of these cases get reported . When it is reported, elder abuse is often not treated as serious of a crime as other offenses such as child abuse or domestic abuse . The federal government outlaws elder abuse and regulates nursing homes that get Medicare and Medicaid funding, but the states carry most of the legal weight . Although about 15 states have special statutes to protect nursing-home residents from abuse, many states' laws on elder abuse aren't strict enough. They're unable to thoroughly protect vulnerable seniors from harm and effectively lead to the prosecution of those who commit these types of crimes . There is no uniform system for reporting elder abuse or processing cases of this nature. We need a more cohesive system in place to ensure that all vulnerable seniors are protected from all types of abuse. It is time for the federal government to step in and provide a law regulating the reporting, processing, and sentencing of elder abuse cases. Sign the petition to tell the U.S. Department of Health and Human Services to create a plan with provisions to better protect our nation's vulnerable seniors from unnecessary harm. Our seniors deserve better protection against all kinds of abuse. Many seniors are just as vulnerable as the victims of child abuse or domestic abuse, and yet they do not receive the same types of protections. Elder abuse is a serious matter and must be treated as such. According to the National Center on Elder Abuse, a study of 2,000 nursing home residents showed 44 percent of elderly people reported having been abused, and 95 percent reported either being neglected or witnessing the neglect of another resident. Yet when it comes to reporting, only 20 percent of cases are accounted for, even though one in 10 seniors experiences some type of elder abuse. The state laws that are meant to protect these seniors often fall short of doing so, and those responsible for elder abuse crimes are never held responsible. An improved system for reporting cases of elder abuse is direly needed. In order to ensure that seniors are safe from maltreatment, the penalties for elder abuse crimes must be stricter. The reporting process must be standardized across the nation, and elder abuse crimes must be legally treated with the same severity as cases of child abuse and domestic abuse. We demand that you create these legal provisions for the safety and well-being of the elderly in our nation. Remind me to click daily at The Alzheimer's Site (manage and customize your newsletters any time). That's 3,819 signatures! Let's keep the ball rolling.